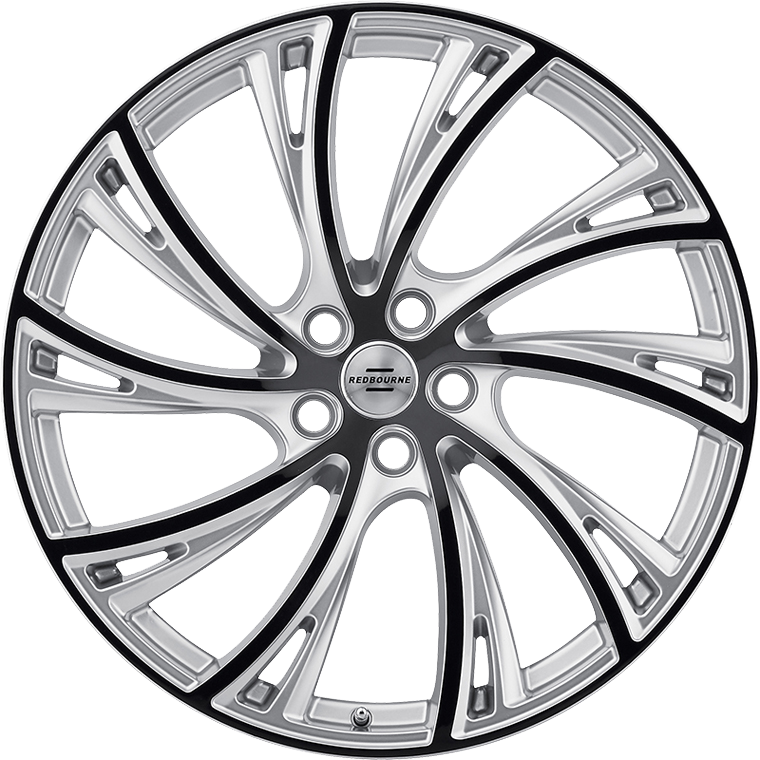 Among even the distinguished Redbourne family of Range Rover rims, the Noble is unique. Among even the distinguished Redbourne family of Range Rover rims, the Noble is unique. Its 10-split spokes are swept back, as if in motion. Accordingly, these are the only Range Rover wheels we produce in different versions for left and right side applications. Like many high performance tyres today, then, Noble is a “directional” wheel. As revolutionary (pun intended) as the design is, Noble wheels are equally exceptional in each of the six dramatic finishes, all selected to enhance the design’s innate sense of movement. Noble Land Rover rims are ruggedized, one-piece wheels cast from a proprietary aluminum amalgam noted for its strength and durability. In fact, like all Redbourne wheels, Noble wheels are load rated at 2300 lbs each. Because they are designed and engineered expressly for Land rover vehicles, OE logo center cap, lugs and tire pressure monitoring systems are 100% compatible. Oversized Supercharged brake rotors are accommodated.